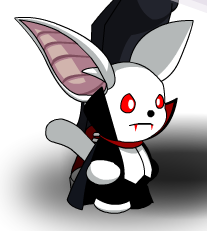 Description: Centuries old, this moglin has yet to see the light of day. He even comes with his own Vampiric cape! Ma-ha-ha! This item is a parody of Bram Stoker's Dracula.